Nose: Lemon meringue pie, apple and blackberry crumble, pink grapefruit juice, a glug-ette of Kirsch, verbena leaves, vanilla infused pears, caramelised demerara sugar and fresh fragrant fields of grass. Palate: Peach and apricot Muller Fruit Corner, blackberry jam, lemon and orange zest, bourbon soaked sultanas, cinnamon spiced apples, lavender, sage, chocolate covered coffee beans and peppermint oil infused caramel. Finish: A tantalising and teasing semi linger of a finish. 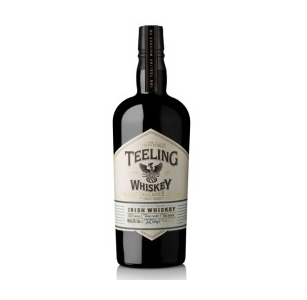 Summary: A fabulously feisty Irish dramming ditty, exuding all that is great from whiskies from this part of the world, along with being a belter of a blend!